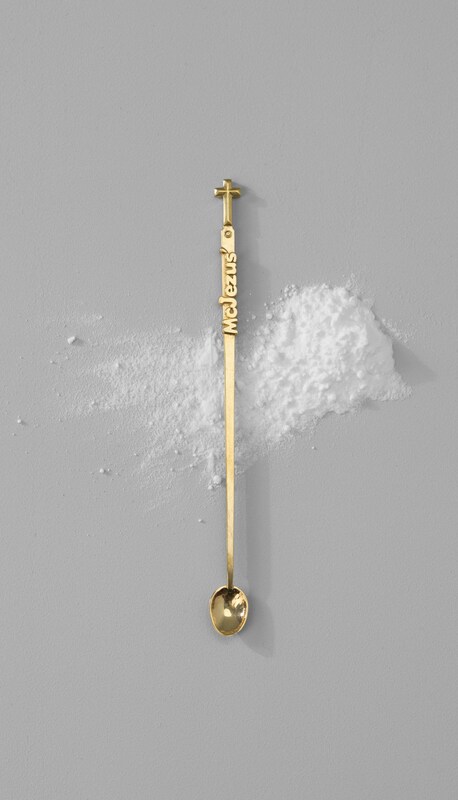 This injected moulded spoon is a variation on the stirrer used in the 90’s for a McCoffee. 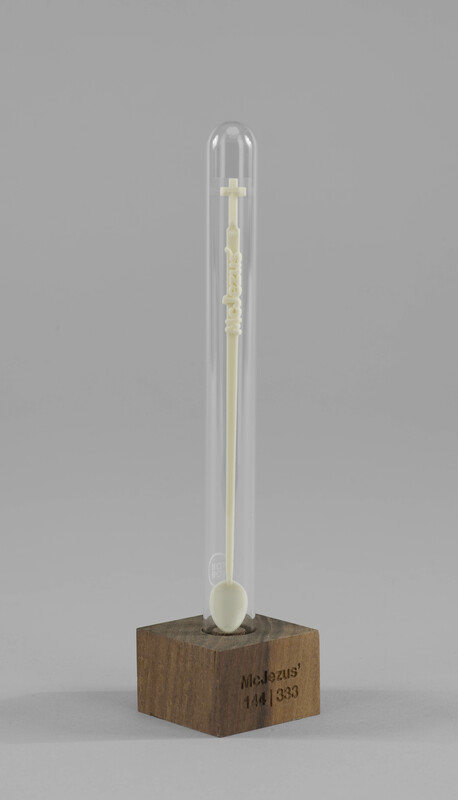 McDonalds stopped producing these stirrers, since they were often used to sniff coke. 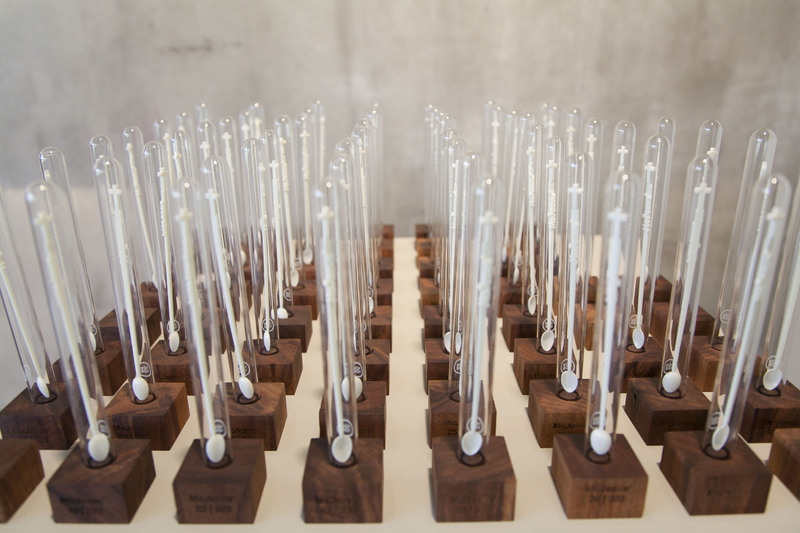 Along the side of the mass produced stirrer, the 24k golden stirrer is presented as a timeless relic.